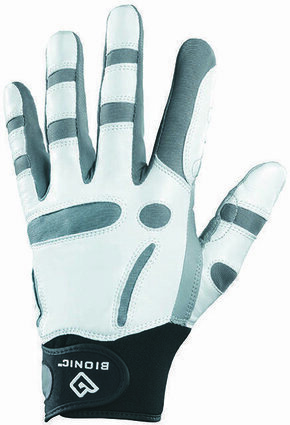 Bionic Men's ReliefGrip Golf Glove is designed with superior grip and relief for arthritic hands. Please Note: Right-hand golfers wear the glove on their left hand and left-hand golfers wear the glove on their right hand. Enhanced anatomical pad system improves contact and comfort. Flexion zones mimic the natural creases in the fingers, making it easier to close the hand, and also enhance breathability. 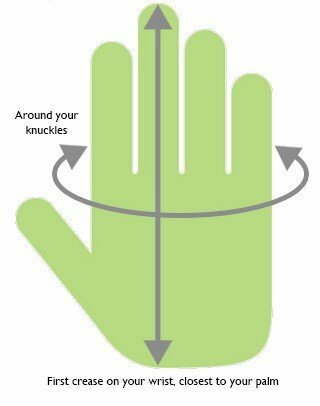 Orthopedic motion zones over the knuckles provide more comfort, and formfitting LightPrene in the expanded wristband comfortably supports the wrist and base of the thumb. Patented pre-rotated finger design complements natural closure of the hand and reduces fatigue. 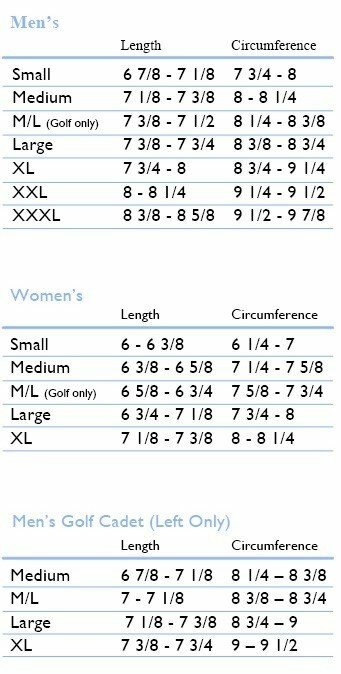 Measure the length and circumference of your hand, then use the chart below to determine your accurate glove size for Bionic.